Our favourite thing to happen at 30,000 feet this summer? Well, Emirates launched its nonstop service from Dubai to Bali for starters. 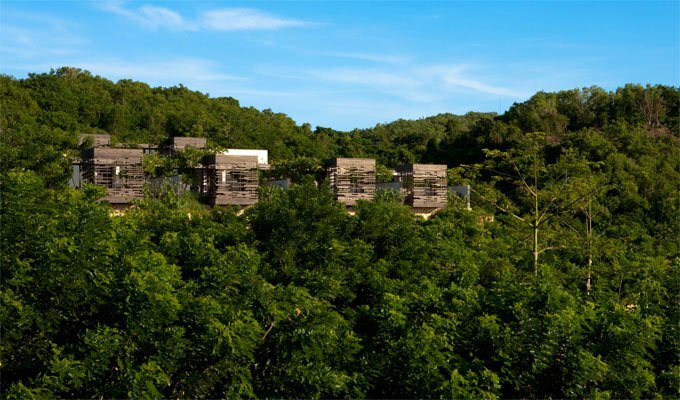 This direct route makes it easier than ever to escape to the picturesque Indonesian archipelago for a quick jaunt – or an extended stay should your boss approve the *ahem* well deserved vacation time. Bali, an island encompassing volcanic mountains, iconic rice paddies, beyond blissful beaches and stunning coral reefs, truly offers something for everyone that has a pulse and likes awesome things. If you’re into awesome, keep reading. If not, stop here. Albeit Bali gets its reputation largely as a yogi-enthusiast retreat, there’s plenty more than ‘Eat Pray Love’ on this island. 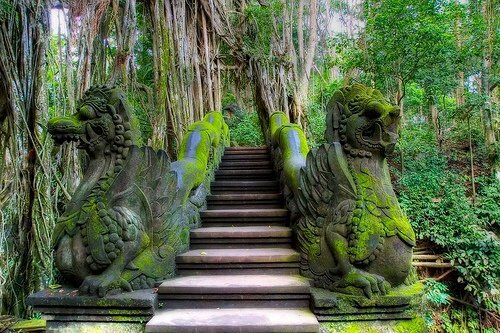 In fact, Bali has so much to offer it can become borderline overwhelming to newbie visitors. 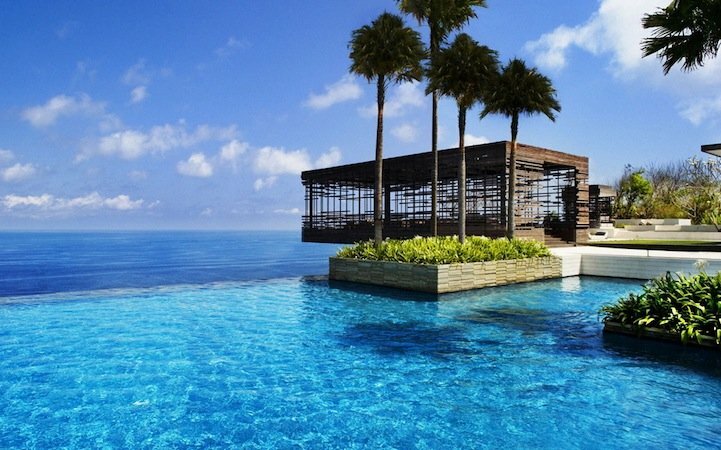 So we’ll begin by breaking down some of Bali’s top destinations. 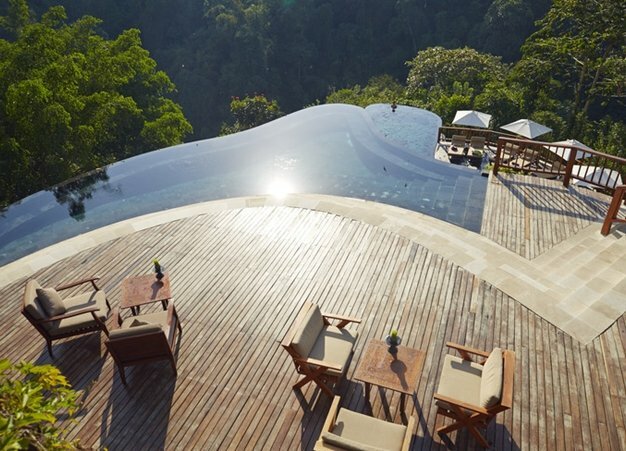 While we provide some popular hotel recommendations to guide you in your search, we highly recommend exploring all of the accommodation options Bali has to offer as they are truly endless and very unique! 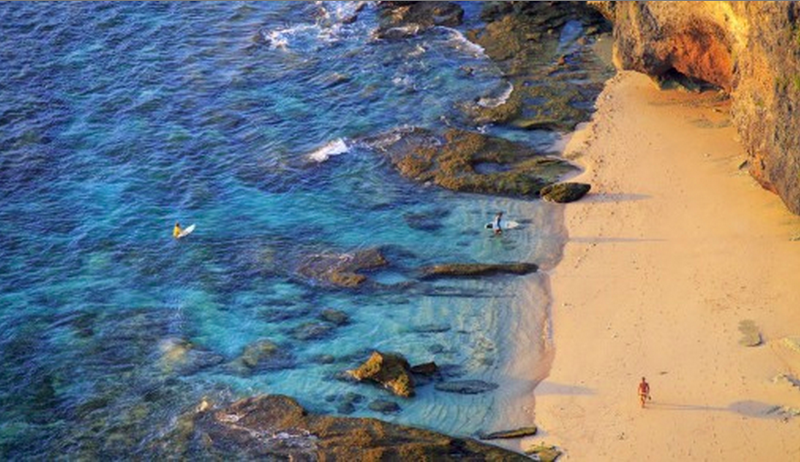 For the surfer enthusiast: Head to Uluwatu on the Bukit peninsula. Not easy to find, but well worth the reward are the white sandy beaches of Balanagan, Bingin and Padang Padang, surrounded by steeping cliffs which help keep this a more secluded surfers sanctuary. The legendary waves, insane surf breaks and perfect barrels are the subject of any surfer’s fantasy and should be reserved for the intermediate-to-expert crowd only. The peninsula is populated with authentic bungalows and villas where you can shack up at a decent cost. 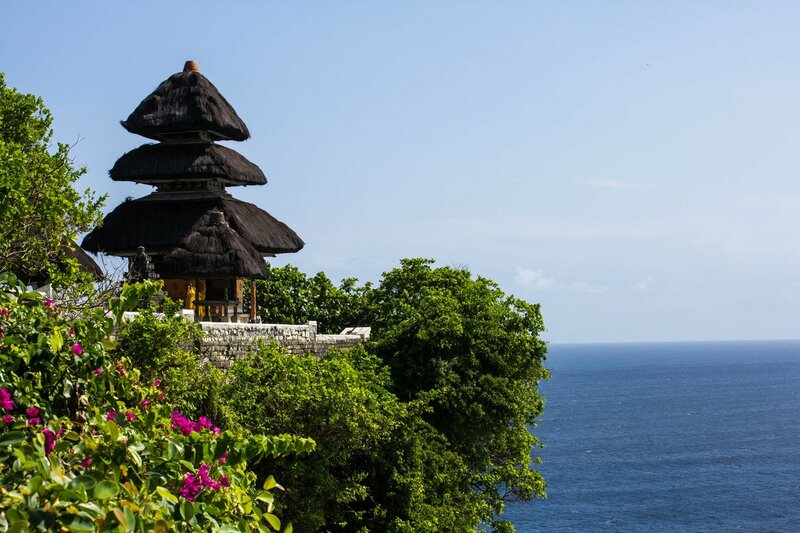 While there, don’t miss the ancient Hindu Uluwatu temple too. 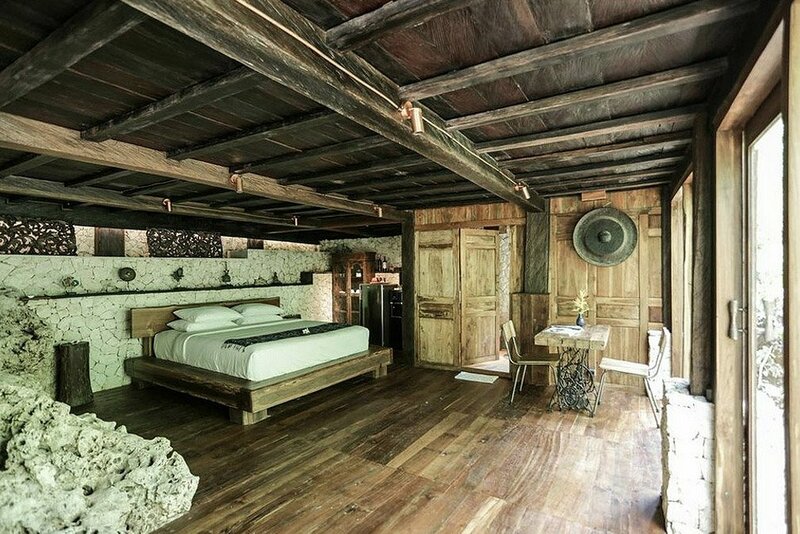 Stay: Check out the lofts at the Uluwatu Surf Villas. 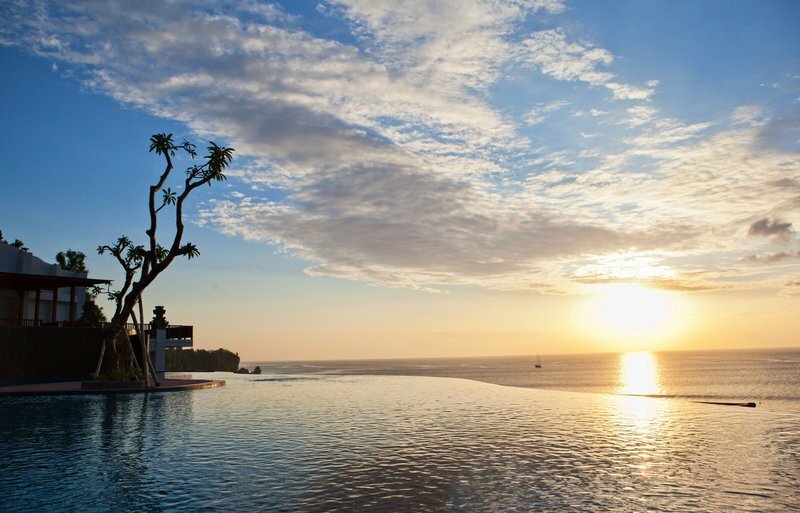 For more of a splurge, check out Alil Villa Uluwatu or Anantara Uluwatu. For the culture and nature lover: Head to Ubud. 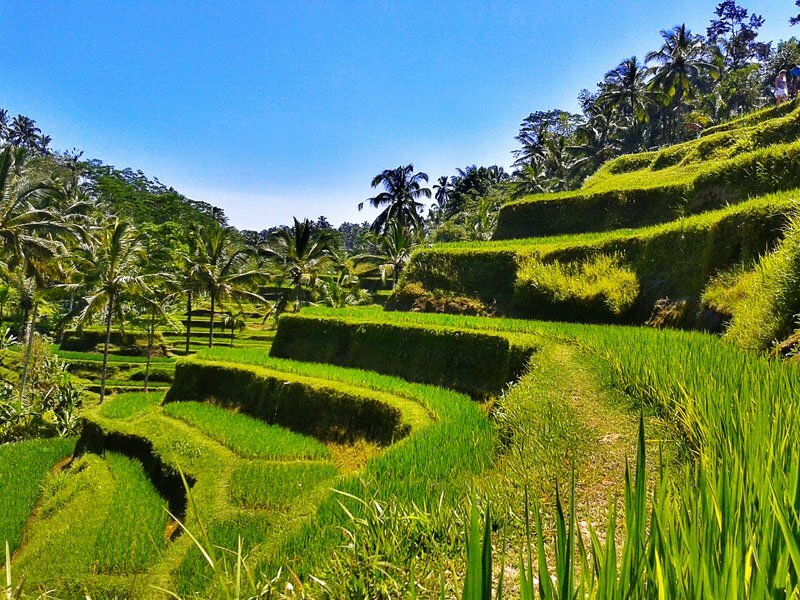 Oozing with culture, Ubud is in fact the ‘Eat Pray Love’ enthusiasts’ slice of the island’s paradise. 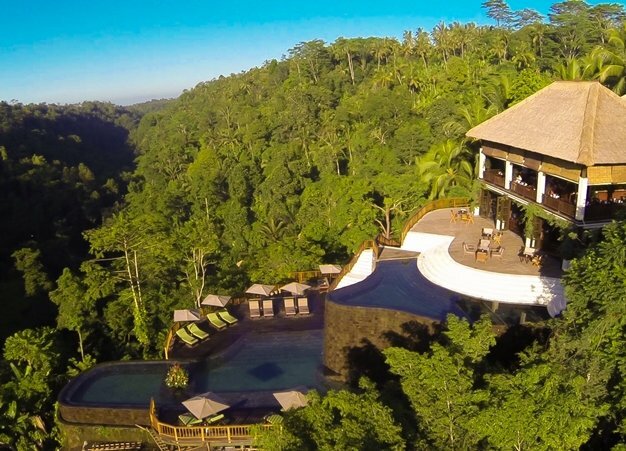 Ubud is a rich sanctuary of lush jungle foliage, teeming with sprawling rice paddies. 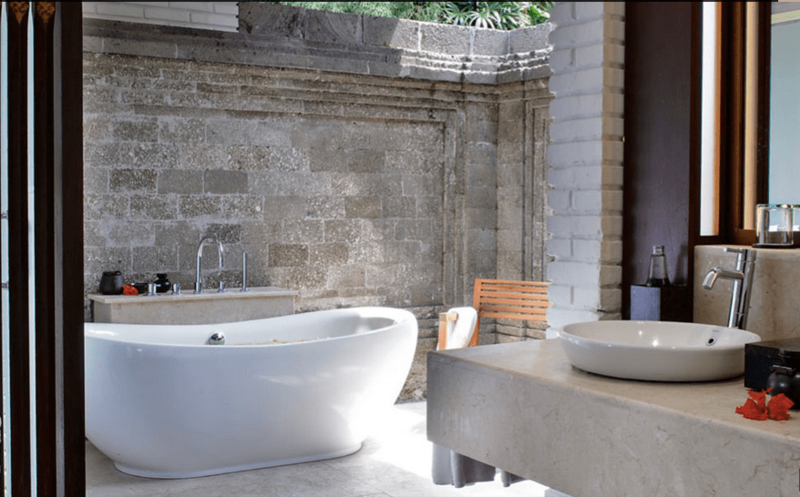 A hotbed for Balinese healers and alternative medicine practice, Ubud is sure to help you find your zen zone. 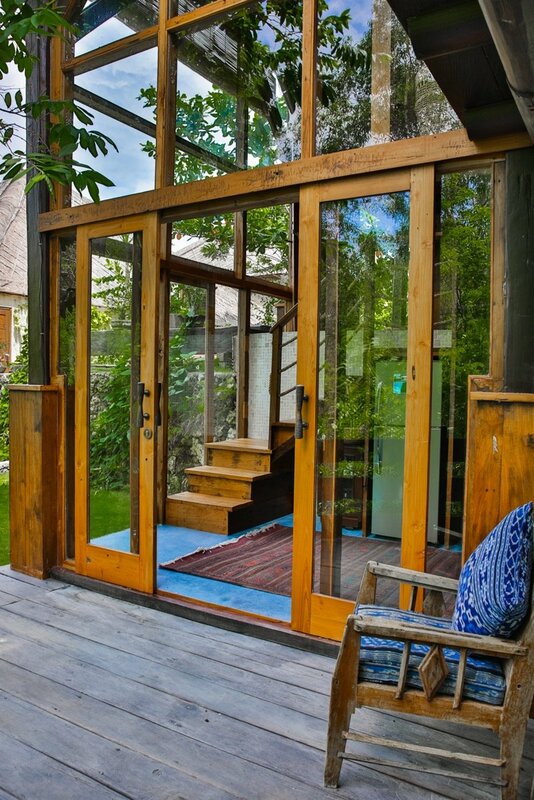 Serious about discovering some inner peace? Yoga and meditation classes are abundant around here. You’ll see local artisans selling their handcrafted goods from small shops in the streets and inevitably wish you had room in your suitcase to take home one of everything. While in Ubud, don’t miss hiking through the famed terraced rice paddies and visit the Monkey Forest for some extremely close encounters with the curious creatures. 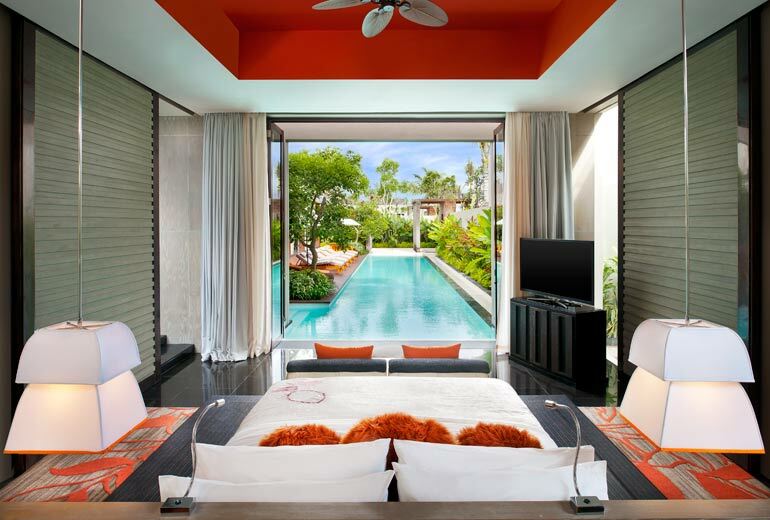 Stay: Hang out at the Hanging Gardens Ubud or The Chedi Club. 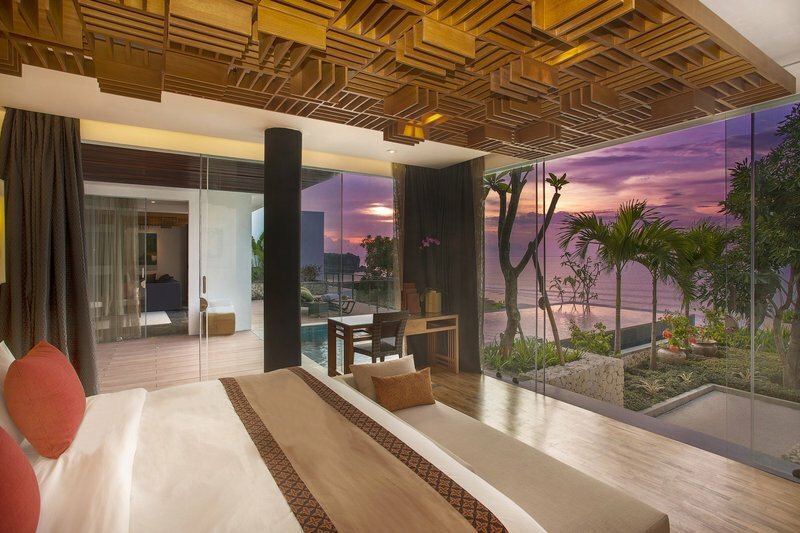 For the vibey-chic city dweller: Head to Seminyak or neighboring Kuta. 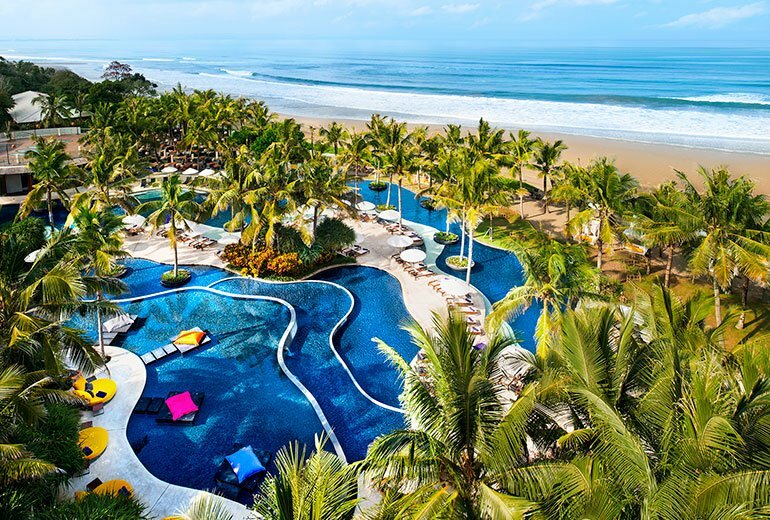 Seminyak is a scene; the popular beaches are lined with beautiful brand name resorts and the town is home to some of the best Bali-chic beach clubs such as Ku De Ta and Potato Head Beach Club. 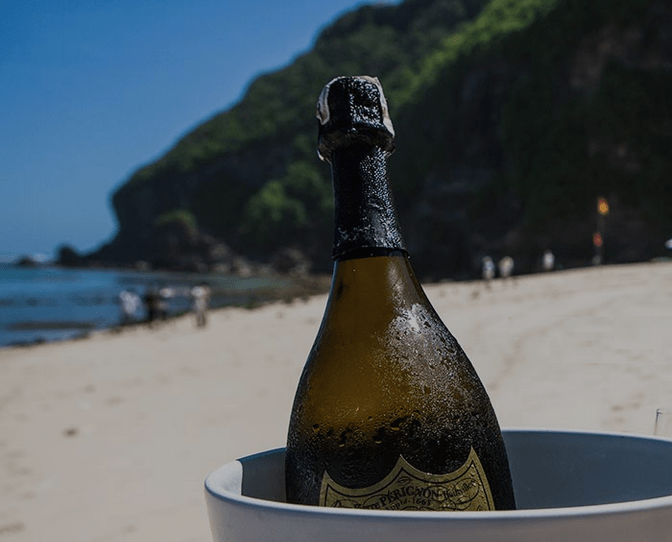 DJs at these beach clubs often make international names for themselves. 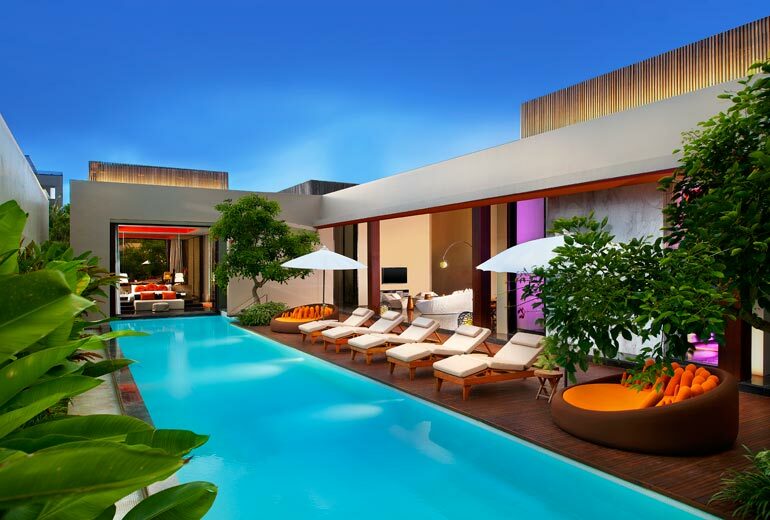 The town of Seminyak has one of the more concentrated shopping areas, restaurants and nightlife around. While a bit more touristy than the rest of Bali, Seminyak boats the best of both worlds. 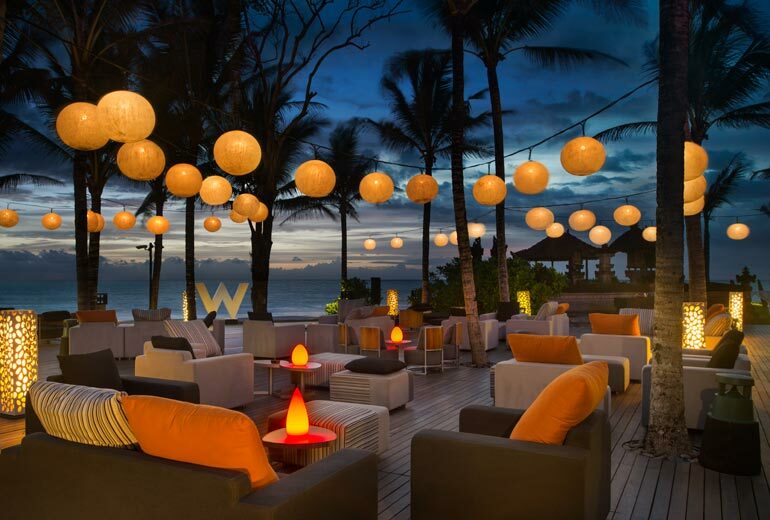 Stay: Relax at the wonderful W Retreat & Spa Seminyak or at The Legian Bali. For the off the beaten path/best kept secret chasers: Head to Gili and Lombok. Lesser known, but equally magnificent, is the neighboring island of Lombok. The fabled Gili Islands are an archipelago of three white sand isles off the coast of Lombok. The Gilis offer more remote island life, with a laidback tropics vibe, increasingly sought after among tourists and backpackers. The beach café culture and knitted hammocks of Gili Trawangan are something straight off Instagram. Oh and we should mention that Gili T offers epic nightlife! But don’t take our word for it. Stay: There are plenty boho-chic island-vibe accommodations on these islands. Willing to shell out a few coconuts? 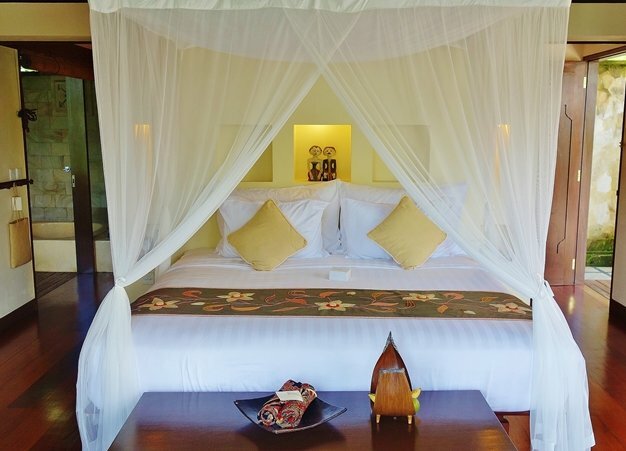 Try the Lombok Lodge or the Oberoi Lombok. 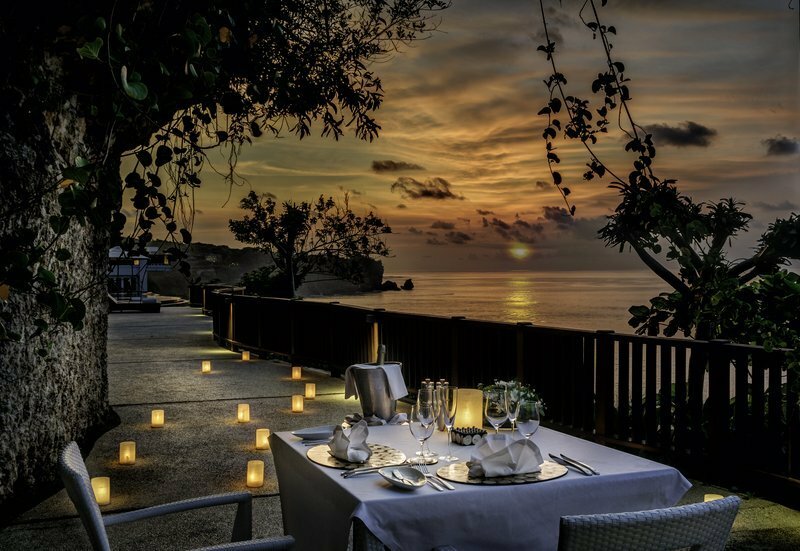 File these under “cocktails with exquisite views”, other notable areas of interest for inebriating indulgence include The Rock Bar at the Ayana Resort in Jimbaran (also on the Bukit Peninsula) and The Deck Café & Bar on the nearby island of Nusa Lembongan. 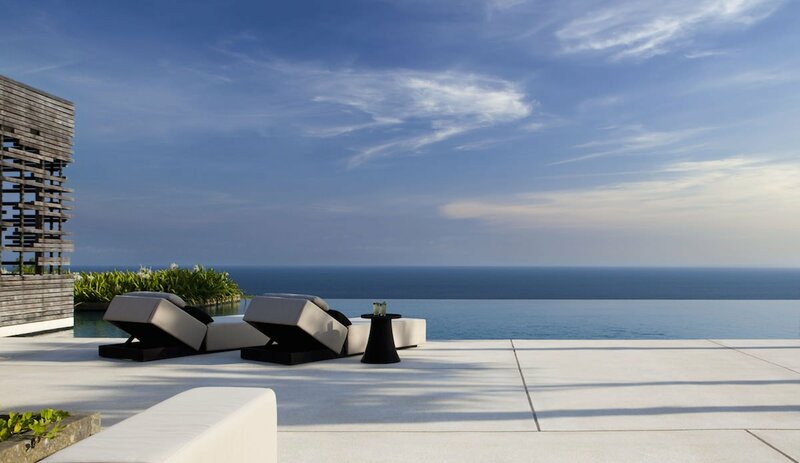 The mere mention of Bali evokes visions of utopia. It’s more than a destination; it’s an ideal, an aspiration, a divine state of mind. After all, Bali is deemed “The Island of God.” Since spending time in nature is proven to have rejuvenating effects, your vacation days can be counted as mental health days. You’re welcome, boss. We just can’t promise you’ll return to your day job anytime soon! Next Post The world’s thinnest automatic flying tourbillon!